A thermal imaging system is always a superior gadget which bestows the user with the contentment of investigating a scene. Of course, thermal imaging cameras have a variety of uses like investigating fire accidents, hunting, and surveillance, find missing pet and kids, detect leaks in pipes, find out hot electric wires etc. But does it work? That’s very simple. Unlike an ordinary camera, thermal imagers use a different technique to capture the scenes in front of it. All objects on earth emit infrared radiations in the form of heat and they vary from each object. This unique radiation from every object is termed as heat signature of that object. Thermal imagers have a thermal sensor which is capable of picking the heat radiated by each and every object in front of it. The variations in the heat of the objects are captured by the sensor in the thermal imagers and sent to the electronic circuit inside to show the image on the screen. Unlike an ordinary camera, the thermal imaging camera produces images in a palate of colors like red, orange, yellow.etc. There are also thermal imagers to display images in two or more palates. But, these thermal imagers are big sized cameras which are extensively used by the army personnel, firefighters, etc and so normal people always don’t intend to carry such a heavy in the hand. Instead, they need it somewhat compact and weightless. In order to satisfy their demand, common thermal imagers were manufactured in a very small size which is almost used as a smartphone accessory. 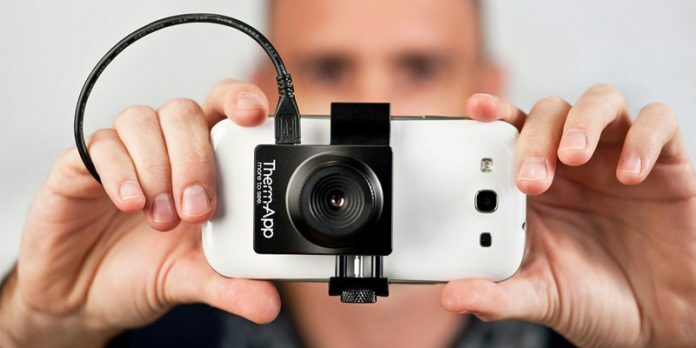 These handy devices can be simply connected to the android phones and from then your android phones can serve as a thermal imager. In this article, I have listed the best top ranking thermal imager products which shall be greatly helpful to the readers. Seek thermal organization has been an esteemed organization which focuses on the manufacture of the thermal products especially for professionals and engineers. The Seek thermal compact imager is a smart and handy device which has good affinity with a great number of android mobiles. It uses a high range of pixels which is more than 32000 and so the precision of the device in picking the heat signature of an object shall be exceptional. Any optical device posses a parameter called the field of view. The Field of view angle is the visible area which can be seen by the user through the optical device. On that account, the field of the angle of the Seek thermal compact imager is around 36 ° which provides an adequate angle of vision to the user. This compact gadget has a camera at one end followed by a rectangular body which ends up in a male USB port. The size of this thermal imager is very much similar to that of a pen drive and so it can be integrated very easily to your android phones. The lens used in this thermal imager has the feature of adjusting focus which helps the user to get a clear-cut thermal picture of the scene in front of him. Further, this cute and tiny device has an unbelievable range, such that it can even receive the heat signatures at a distance of 1000 feet which is really a long range. Hence, the user can be able to see any animal or thief before 1000 meters itself, and so capturing them shall be easy, even if they hide on the outskirts of your home. 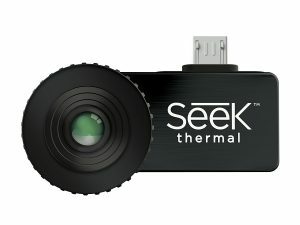 Moreover, this Seek thermal compact imager can operate at a temperature ranging from -40° F to 626° F which shall really be an amazing feature in this cute little device. Due to these user-friendly features, this thermal imager comes with the protective case which houses it. FLIR ONE Thermal Imaging Camera uses the recently evolved multi-spectral dynamic imaging technology it is a device which is not available in any other thermal imaging camera. As we know, an ordinary camera has good affinity to all the visible colors. But, the thermal imaging is different; with them, you can find out a person who is at several meters away from you. Unfortunately, you cannot identify who that person actually is. So, FLIR came up to emboss the visual image over the thermal image to produce a better thermal imaging technique and such a cool method is incorporated in this FLIR ONE Thermal Imaging Camera. It is very much similar to the size of a normal camera which is reinforced with the USB connector on one side with which it can be interfaced with the android phone. Apart from capturing pictures, this exquisite gadget can record videos and also it has reinforcements to share those photographs with your family and friends in the social media. This comfy device due to its robust architecture shall be greatly useful in the department of the military. Apart from that, it can also assist you to use your smartphone as a high-quality thermal imager in no time. FLIR ONE Thermal Imaging Camera can be used in pitch darkness also and its performance shall be really awesome. In other words, it can be the third eye of the humans which is to be used in times of distress and power cuts. But, it is to be noted that the FLIR ONE Thermal Imaging Camera is compatible only with the android phone which possesses the type- C USB cable. It is a low-degree limitation as most of the electronic devices in today’s world use type-A ports. Therm-App TA19A17Q-1000 Thermal Imaging Device is a predominant device which provides you a completely different view about the thermal imaging technique. For your information, the Thermal app is the first organization to put forward the thermal imaging systems for the android phones. Like any other thermal imager in the list, this thermal app has multi-color palates which portray various degrees of temperatures. 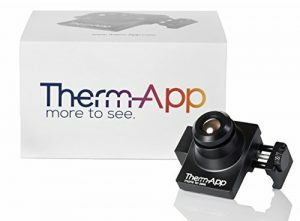 Further, the lens used in the Therm-App TA19A17Q-1000 Thermal Imaging Device has a greater diameter of 19 mm and therefore the field of view of this device is available in a desirable range. The lens used here are available in various sizes which includes 6.5mm, 13mm, 19 mm and 35 mm. This thermal imaging device has the feature of interchanging the lenses and so the user can use lenses of different focal length to capture images at various distances. The sensitivity of the thermal is such that it can provide color differences even for the temperature difference of 1°F. 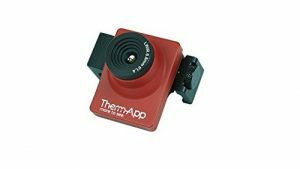 Moreover, the Therm-App TA19A17Q-1000 Thermal Imaging Device is reinforced with the small clamping tool which holds tight on the lateral side of the Android mobile thereby securing the thermal imager at its place. Due to the tight fit to the phone, the thermal imager does not undergo any disturbance thereby producing an image of high quality. Therm-App TA19A17Q-1000 Thermal Imaging Device operates at a temperature range of -10 to 50 °C which is a desirable range of temperature. Therm-App TAH68AQ Compact Thermal Imager is a handy and portable temperature sensing device which can be directly plugged into the Android mobile. Although it looks like a simplified normal visible camera, Therm-App TAH68AQ Compact Thermal Imager focuses on capturing a high-quality thermal image without any noise or jitter. Unlike any other thermal imager in this list, this thermal imager possesses a lot of color palates like rainbow, iron, hot red, cold blue etc. which can be switched by a single click. Due to the dynamic design of this thermal imager, they can be extensively used in the variety of fields like detecting fire accidents, pipe leaks, freezer issues, forest fires etc. The operating temperature of the Therm-App TAH68AQ Compact Thermal Imager is from -10 °C to 50° C and so it can record even temperatures below zero and hence it shall be a useful tool in the cold countries for the surveillance of humans and pet. 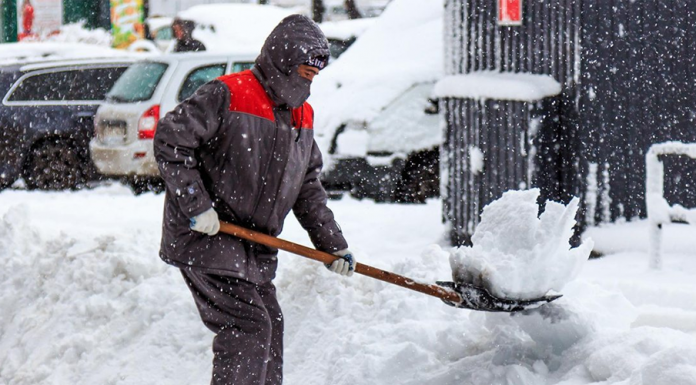 Also, it can also be used to find any person who uses the snows as a cloak to keep them concealed. Since it can sense the heat from a distance of 1000 feet they are used by people like hunters, rescuing personnel, auditors, marines, drones etc. FLIR 0100-01-00S FLIR Thermal and Color HD Camera is a compact device which has been newly introduced by FLIR organization. The size of this thermal imager is very small which is supported by two sensors. It records the thermal and the color video of the scene and it can store it on an SD card attached to the device. The resolution of the thermal imaging sensor used in the FLIR 0100-01-00S FLIR Thermal and Color HD Camera is about 160x 120 pixels whereas the resolution of the visible camera is about 1920 x 1800 whose clarity would be very much similar to a television. Like any other electronic device, this thermal imager works with the input voltage which ranges from 5 to 24 V. The MSX technology overlaps the visible image with the thermal image thereby allowing the user to have a clear idea about the scene in front of it. I am using FLIR ONE Thermal Imaging Camera. This camera is the best that I have ever used. It’s a high-quality camera and capture images for over several meters. It works under any temperature. It is very useful to me for the surveillance of human and pet.